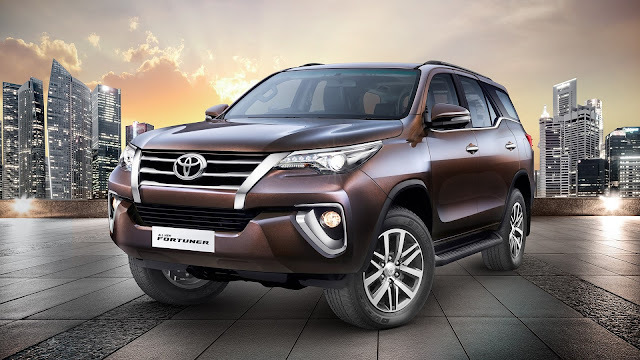 Bangalore, 20th January, 2017: Toyota Kirloskar Motor today announced that the recently launched all-new Toyota Fortuner has received over 10,000 booking orders in a short span of less than two months of its launch in India. Deliveries of the new Fortuner began right after the launch in November 2016 and ever since, the company has already delivered close to 5000 units of the vehicle. The company’s focus right now is to ensure timely delivery of the vehicle as the new Fortuner currently has a waiting period of 2-3 months. Expressing his view on this remarkable milestone, Mr. N. Raja, Director & Sr. Vice President, Marketing & Sales, Toyota Kirloskar Motor said, “The new Fortuner has received a phenomenal response from our customers and the market. A true testimony to this lies in the fact that even though the new Fortuner was launched a day prior to the announcement of demonetization in India, it did not dampen the spirits of our customers who have been waiting for the all-new Fortuner. We thank our customers for such an encouraging and inspiring start to this iconic brand’s second innings in India. Launched in 2009 in India, the popular SUV has a base of more than one lakh happy customers in the country.